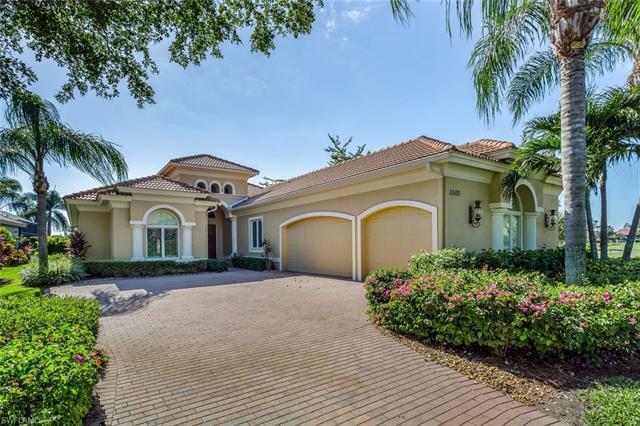 11500 Amalfi Way, Estero, FL.| MLS# 218082559 | Southwest Florida Residential Real Estate for Sale. Combine a high quality build with stunning dÃ©cor and the result is an exquisite home which is exactly what youâll find at 11500 Amalfi Way. Attention to detail is immediately evident and consistent throughout this striking home. The ideal floor plan offers four bedrooms plus a handsomely outfitted den, three full baths and a three car garage. The oversized lanai includes cozy seating around a fire pit in addition to an outdoor kitchen area, and a heated pool and spa. The site is just east of the 10th hole of the 18 hole championship course designed by Darwin Sharpe III. This is the ultimate location for the true Golf enthusiast. Yes, theyâre playing close to the house, and yes, itâs great to watch! Santa Lucia is an intimate neighborhood of just 21 homes, ideally located near the Club and the south community gate. Sold turnkey, this home is an outstanding value considering the superior quality of the furnishings and dÃ©cor. It would take thousands of dollars to duplicate the interior. Grandezza is a socially active community with exceptional amenities in a great Estero location close to shopping, dining, the beaches and the airport. See attached sheet for special features.